Since the original iPad sent the world spinning into a tablet-mad silicon frenzy, we've been waiting for another product to really give it a run for its money. 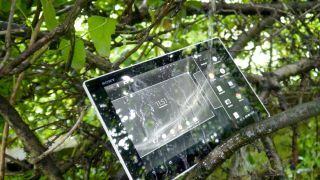 Three years have passed, challengers like the BlackBerry PlayBook, Motorola Xoom, and HTC Flyer have come and gone and it's only been the budget-conscious Google Nexus 7 that's really made an impression. Until now, that is. Because Sony's new Xperia Tablet Z is the real deal. Great specs, unique features and a competitive price make it the best tablet out there – better even than the iPad 4 or iPad mini. So be sure to read the review, and while you're here, you might as well check out the rest of this week's hottest hits as well! We couldn't wait to get our greasy mitts on the Sony Xperia Tablet Z, having been teased ever since it was unveiled. But we didn't go into it blindly - so often, we've waited for the next big thing, only to feel that sense of 'meh' almost immediately. We never felt that with the Sony Xperia Tablet Z. It really is a triumph, a tablet that genuinely deserves consideration when you're in the market for a new top-end gadget. If you're against the iPad for any reason, or even just agnostic over your OS, Sony has taken the best of Android and fused it with its own innovation to make a device that delights in more ways than we can count. Despite the arrival of some intense competition this year, Panasonic has risen to the challenge with this new high-end plasma TV, delivering what for our money are the most cinematic 50-inch pictures we've seen. The Panasonic TX-P50VT65's contrast performance is particularly incredible, but it's joined by some exceptional colour subtlety and naturalism, and some outstanding sharpness and clarity. Front-firing speakers serve up a superior audio performance too, and the television's smart TV interface is brilliantly friendly. People with especially bright living rooms might possibly want to think about a high-end LCD TV or one of Samsung's F8500 models instead. But for film fans who can control their light levels, the Panasonic TX-P50VT65 is nothing short of a masterpiece. The 770 is the new sweet spot in high-end gaming. Using the same beautiful chassis as the Titan and GTX 780 it already looks like an ultra-enthusiast card for a bargain price. That means any third-party cooling attached to the pricier overclocked cards is going to have to look even better. If not, people are going to be more than happy sticking with the stock, £330 (about AU$515, US$400) versions - which is probably why the 4GB version has been touted from the beginning. But who cares about the problems of add-in board manufacturers when we can get hold of such a second-tier card that looks this good, overclocks this well, and performs better and costs less than either the top single-GPU cards from the last graphics generation. Certainly not us, and when the profits roll in, certainly not Nvidia. Despite noticeable shortcomings with storage space and occasional processor speed, we really came to like the Sony Xperia SP. It's a handset that so desperately wants to be able to sit at the grown-up table even though it's really only a mid-level device. The excellent camera and range of connectivity that includes NFC and 4G go hand-in-hand with a great design and a screen size that will be just right for someone that doesn't want a high-end 5-inch monster. If you're on a budget, we'd consider it ahead of last year's high-flyers, and it's certainly better than Sony's previous Xperia T model. Heavy users will likely get frustrated with the moderate battery and mediocre processor. But if you want to save a bit of money and still own a smartphone that you can show off at parties or around the office, you could do a lot worse than picking up the Sony Xperia SP.